A different version of this tune (Around the world in 80 seconds)can be found on, Joanne Wilson-Got to have you-Kalinda KD-585. Also on a re-issue from Cultures Of Soul Records COS-503. These versions have a faster BPM and vocals. This is a car boot disco classic! I picked my copy up around 15 years ago in the hope that I had purchased the opening music to the eerie Jerry Goldsmith soundtrack. At first, I thought I had,as the record starts with very creepy atmospherics...then it descends into pure 1970's disco Hell. If you know the original Alien theme, this record is sure to make you laugh your socks off, it is a camp & trashy disco record bordering on parody. I'm proud to own it. 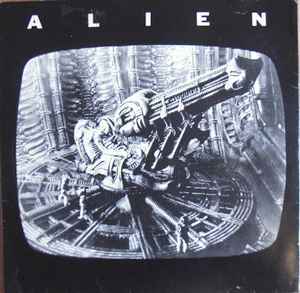 Released in 1979, "Alien" is sure to to be the first song to sample the film of the same name. Opening with the eerie strains of Jerry Goldsmith's score, the song whooshes quickly into incidental electronics and a spiky, discordant melody, played over galloping bassline and an insistent disco thump. It's a great ride.